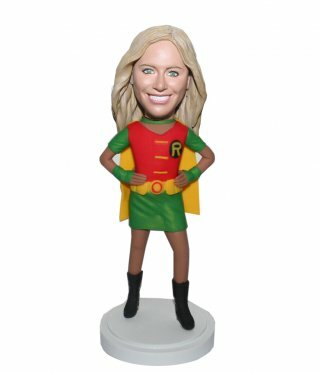 Custom Robin Bobbleheads from Photos. 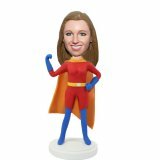 With arms akimbo, this customized female bobbleheads is wearing a Superwoman uniform, complete with green skirt, boots and flowing a bright yellow cape.Do you have a "superman" in your life? She might be your mother, wife or significant others. 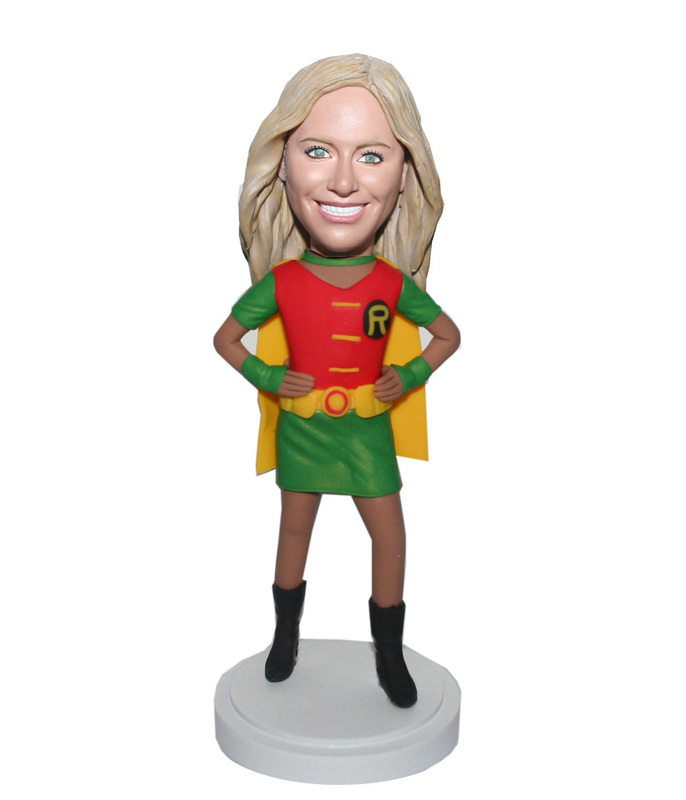 Just send us her photos, the skilled artist in Bobbleheadsme will make her into a bobble superman. 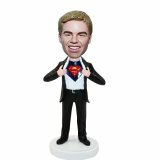 It's full of fun and love.